It’s almost a year since the first box of The Only Reason for Time arrived in the post. 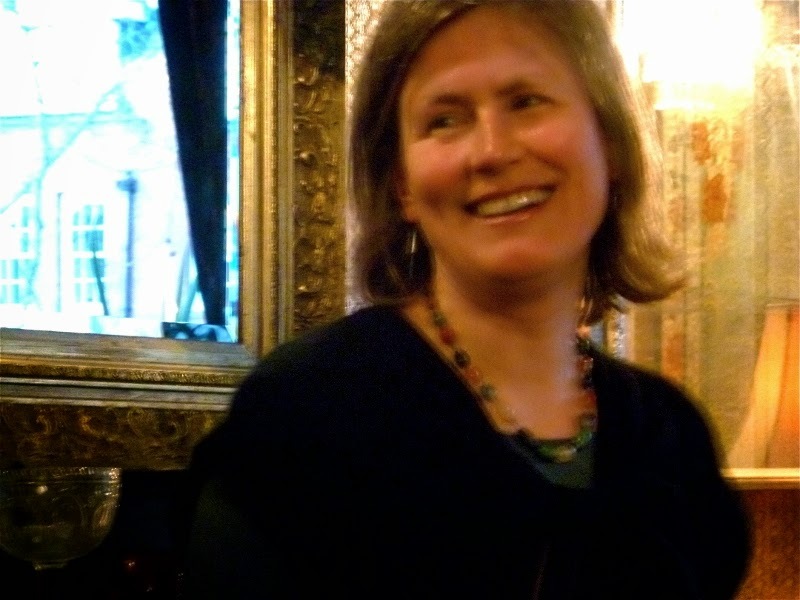 I wrote then about how the pamphlet had been put together, and more about the editing process in Chapter 8 of The HappenStance Story, in which Helena Nelson (Nell) gives an annual update on the ups and downs of being a small poetry publisher. This is about what’s happened since publication, mostly from the perspective of sales. If that seems mercenary: poetry without sales won’t butter the publisher’s parsnips. I reckon my experience was typical for a moderately successful pamphlet. I’m hoping some people might find this useful, and/or comment on their own experiences. The print run was 300 copies, fairly substantial for the micro-world of poetry pamphlet publishing (any novelist reading this will now have swooned in horror). Around 50 went to libraries, reviewers, PBS, etc. Nell and I sold around 230 copies in less than 2 months. Then we declared the pamphlet sold out. Nell wisely advised me to keep some, for people I’d meet in the rest of life. Selling out fast was very nice. But becoming, so quickly, a published poet without a book was a shock. Nell and I discussed reprinting. HappenStance pamphlets are lithographically printed, so a reprint costs as much again. There was still demand for the pamphlet but it wasn’t clear whether this would anything like absorb the minimum print run of 200 copies; and it might fall off entirely by the time reprinting happened. I did have one reading a month lined up for the autumn, though, and it was going to be awkward without any books. Nell reprinted three months later, in September. We’ve sold over half the reprint and are still selling several each month. Nell describes this as having a long tail. Overall, I’ve been responsible for about a third of our sales. There’s an incentive for HappenStance authors to sell as many as possible, because they get 25 free copies in lieu of payment and pay half-price beyond that. My main concern was whether Nell would break even, which she will have done on the immediate costs of printing, cover design, p&p for the 50 free copies, etc, and I hope also on my share of overheads such as running the HappenStance website. But if one costed her time, there’s no way it could happen. I wonder if there are any pamphlet publishers for whom that isn’t true. ***HappenStance subscriber system. For £10 a year, subscribers get a free pamphlet, reduced prices, newsletters and – above all – feedback on poetry submissions for people who want to get published. In effect, Nell is providing a reading service which is extremely good value. There are a few hundred subscribers, potential readers for each new book. ***HappenStance profile. Nell is an established poet herself who networks extensively including on social media, writes a weekly blog with a big following, and has a good reputation for publishing mostly first pamphlets. Some of her authors have gone on to publish first collections with larger publishers. ***HappenStance website and marketing. The website is easy to navigate and buy from. See above for social media. Nell produces coloured flyers for each new publication, with a poem on one side and info on the other. She says that ‘The Shirt’, the poem she put on mine, sold the pamphlet many times over; and that choosing the right poem makes a difference to sales. Also relevant, in my view, was the flyer’s paper – a delicate, textured green, the colour of apple snow. ***The pamphlet’s appearance. (OK, there are a lot of nice looking poetry pamphlets.) A combination of plainness – cream paper, plain type etc – with a beautiful cover image and deep green endpapers. At one reading late last year the generous host flourished his copy of my pamphlet and invited everyone to buy it, partly on the strength of that green… but alas the printers had run out of green and the new lot have rich red endpapers. Audience feedback: they preferred the green! ***The pamphlet’s subject matter. Nell thinks this drew people in. I’d include here her short, enticingly unblurblike description that went on the website, flyer, back of pamphlet, etc. She doesn’t use famous poet blurbs. ***Knowing people in the poetry world – from magazine editors to poetry tutors to people I’d been in workshops with, some for several years, around which strong friendships can develop. ***Facebook: despite my low profile and limited number of friends, it was useful for spreading news, sharing links and organising the launch. I should probably have been tweeting but wasn’t. Nell was. ***Poems published in various magazines. Probably not enough to get name recognition, but enough to have some good credits inside the pamphlet, and improve the chances of getting reviewed, see below. I’d also written a few reviews. I’ve never been placed in a competition, and rarely go in for them; do people who have had competition successes think this helps book sales? ***Aldeburgh Eight seminar. I did this in 2011, and its excellent reputation probably led to a bit of name recognition. ***The launch, which was a joint one with Chrissy Williams, someone I was proud to pair with, she is such a good poet. Launching with someone else was fun, too – decisions and problems were shared, and it was much less scary only being half the centre of attention. It was smart of Nell to publish us together. While our guest lists overlapped a lot, each of us brought in people the other wouldn’t have. I know that some of my friends bought my pamphlet when they arrived, and Chrissy’s after the reading. We had a great venue – upstairs in the Crown in Clerkenwell, with ornate mirrors reflecting the tall windows onto trees on the Green, still bare in that cold spring – and it was packed, with a true launch atmosphere of supportive excitement that I won’t forget. Sales: nearly 60 pamphlets. ***Readings: at the Shuffle, the Torriano, Sweet Thursday (in Richmond), Words & Ears (in Bradford-on-Avon), the Troubadour, Made in Greenwich (local art gallery), Poets’ Café (in Reading). Around a third of my sales came from these readings, between 2 and 10 from each. ***HappenStance poets: they tend to be mutually supportive, and the experience of having stable companions was one of the unexpected pleasures of being published. Several came to the launch and other events. Tim Love and Matthew Stewart both reviewed the pamphlet on their blogs. ***Bookshops: I didn’t even try. I knew that even if they said yes, I’d moreorless have to pay them to stock the pamphlet. It’s only for sale at Made in Greenwich which at last count had sold 7 copies. ***Reviews. Publicity makes reviewers / review editors aware, so they are more likely to review. Reviews generate publicity. I was lucky – the first review was by John Field on his excellent blog Poor Rude Lines. Like several later reviewers, he had insights I could never have had. One, blogger Gareth Prior, bought the book because he’d read John’s review. 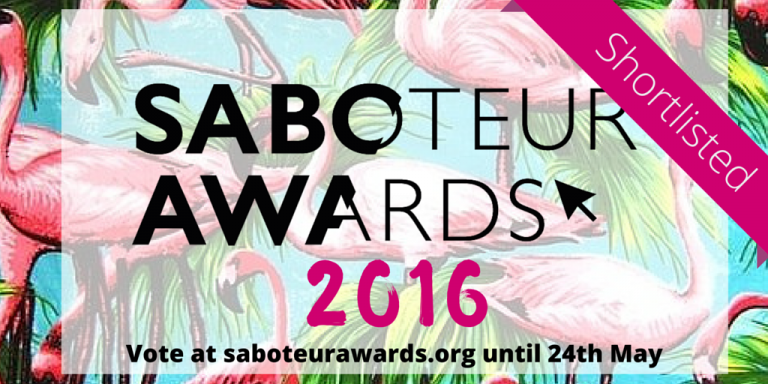 There have been nine reviews in blogs and online magazines, plus various other mentions online, eg Anthony Wilson named it as his pamphlet of the year. There have been four reviews that I know of in print magazines, three of which I’d had poems in. One good thing about the online/print mix is that online reviews tend to appear relatively quickly, filling the long gap between publication and most print reviews. It’s hard to make a direct link between reviews and sales. ***Inclusion in the Guardian’s pre-Xmas round-up of the best poetry of 2013, alongside various full collections by much bigger publishers. I wonder how the reviewer came across it; maybe he’d been reading my critical gender audits of Guardian poetry reviews. You might think this would boost sales. Not much: barely a dozen through the Guardian Bookshop, which isn’t set up to deal with small publishers, as Nell and a present-buying friend of mine found to their exasperation. 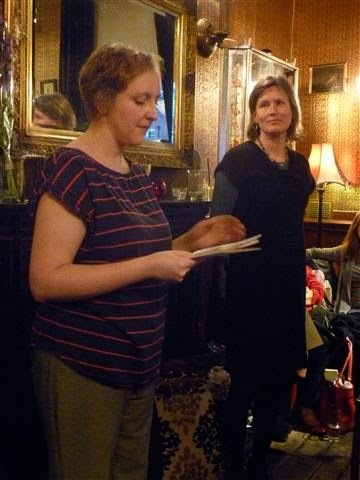 But it appeared to stimulate sales on the HappenStance website, and Nell sold a few after recounting the Guardian Bookshop story at an Edinburgh event (no doubt she made the audience laugh a lot). So total extra sales maybe 25-30. One interesting phenomenon was the availability of The Only Reason for Time on bookselling sites on the internet. I happened to search for it a couple of weeks before the Guardian piece, and found several copies – all costing more than from HappenStance. Afterwards they all disappeared. ***Getting new poems into magazines, with mention of the pamphlet in the biography. Missed opportunity: I sent nothing out between late 2012 and summer last year, and then of course there was a time lag before publication. Nell thinks that doing this does make a difference. ***Rialto editing. This didn’t start until the autumn, but may have added the occasional sale. That’s a lot of writing, for a few hundred sales. Many of the factors above feed into each other. People would be doing case studies, perfecting formulae and drawing flow charts, if poetry was worth millions. Of course if you’ve read this far you may think it is anyway. Launch photos by Bernadette Reed. Congratulations on making such a splash! It's very difficult to do this with a full collection, let alone a pamphlet. Your first collection must be about due, isn't it? When I wanted to publish 'Speckled Spotted & Streaked' my Selected Poems, I was quoted £1,000 by a professional printer. I eventually managed to publish it with Lulu.com for less than £300. Also in the internet age it is strange where one's poetry ends up. The other day I noticed that three American women I'd never heard of had recommended my 'Images of Istanbul' on Pinterest. Thanks Simon. £1,000 does sound like a lot! And yes, nice when stuff that's floating around gets picked up. I haven't done anything about a first collection yet. Might write about the dilemmas of this another time. Thanks Anthony. I think that sales are a taboo subject... Not that I know anything about it, beyond my own very small experience. 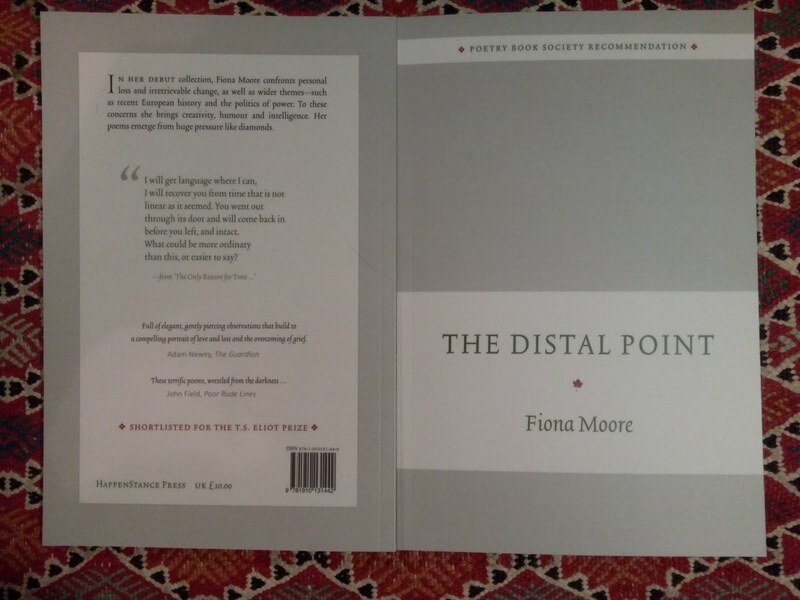 The Distal Point and pamphlets: reviews, poems, links etc. I live in Greenwich, London. I read and listen to poetry, and write it. The idea of this blog is to write things down that interest me, and might interest other people. Mostly about poetry.